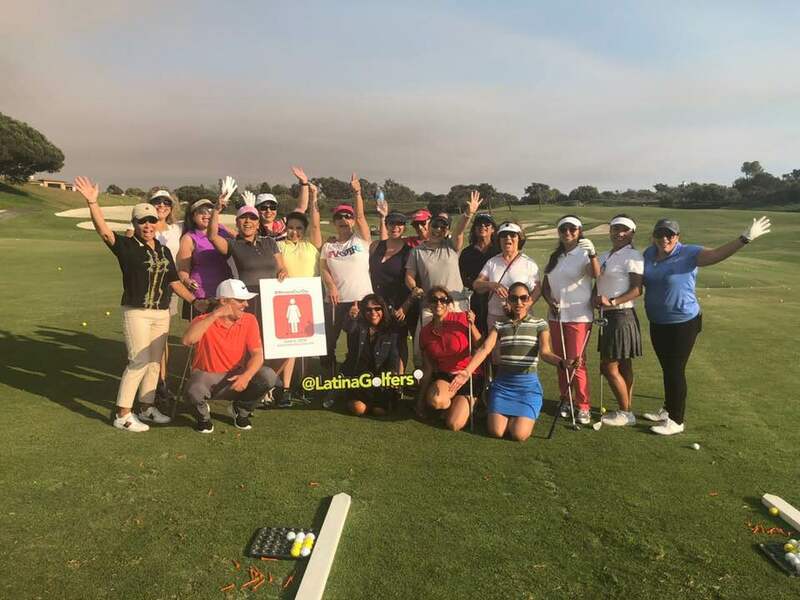 The 2018 Women’s Golf Day was a success, thanks to participating facilities around the globe.The event brought the number of participating countries up to 58 and the number of venues in excess of 900. With thousands of women and girls (and some men too) enjoying the day of golf and social networking opportunities coupled with tens of thousands of golf fans supporting the event across social media, WGD 2018 created a wave of enthusiasm that was impressive. Special thanks to the following California-based facilities who participated in WGD 2018: Ancil Hoffman GC, Buenaventura GC, Crow Canyon CC, Eagle Crest GC, Gilroy GC, Granite Bay GC, Haggin Oaks GC, LA County GC’s, Maggie’s Par 3, Olympic Club, Palm Desert R&CC, PGA SuperStores (in Irvine, Palo Alto and Palm Desert), Poppy Hills GC, Poppy Ridge GC, Skywest GC, Spring Valley GC, and TopGolf-Sacramento. Please find the June membership newsletter here! Please find the May membership newsletter here! Of the 23.8 million on-course players, the NGF defined 19.5 million (roughly 95 percent) as “committed” golfers, individuals who say golf is one of several ways they like to spend their recreational time. That number was down from 20.1 million in 2016, the first time since 2011 that the industry had seen year-over-year growth. These golfers account for approximately 95 perent of all rounds played. Breaking down participation by age, young adults (ages 18 to 34) accounted for 6.2 milion of the on-course golfers (or 26 percent). That total remains the same from 2016, “contradicting claims that the sport continues to lose millennial golfers” according to the NGF. While the number of overall golfers saw a small increase, rounds played for 2017 fell to 456 million from 469 million in 2016, a 2.7 percent decline. According to the NGF, that decrease “is consistent within average weather-related fluctation of 2 to 3 percent.” However, it was a lower number than was reported in 2014 (458 million) and 2015 (466 million). (ST. AUGUSTINE, Fla.) – WE ARE GOLF – a coalition of the game’s leading associations and industry partners – unveiled its new U.S. Golf Economy Report at the National Press Club in Washington, D.C. prior to tomorrow’s 11th annual National Golf Day. The report was announced in conjunction with National Golf Day, the industry’s pinnacle event of the year that brings leaders to Capitol Hill to meet with Members of Congress, the Executive Branch and federal agencies to discuss golf’s social, economic and environmental benefits to society. Created in 2010, WE ARE GOLF is an industry coalition that promotes the economic, charitable and environmental impact of golf, as well as the game’s health and wellness, affordability and accessibility, to Members of Congress, the Executive Branch and regulatory agencies. The goal of WE ARE GOLF is to ensure laws and regulations are fair and appropriate to an industry that in 2016 generated $84.1 billion in economic impact, 1.89 million jobs and $3.94 in charity fundraising. Please find the April membership newsletter here! Perception is reality in politics, never more so than when the subject is water. If the Coachella Valley learned nothing else from the last statewide drought crisis it was this: The facts of the matter didn’t matter much when it came to how Sacramento treated the valley. Those who live, work, farm and play golf in the valley understand that the desert’s water supply is secured by sources almost entirely separate from the State Water Project and unrelated to seasonal rains and snows. It is secured by an aquifer that is among the richest and deepest in the world, as well as federally guaranteed allocations from the Colorado River. Unlike many of California’s other groundwater basins, particularly those in the Central Valley and along the Central Coast, the aquifer that sits beneath the Coachella Valley has been managed with long-term sustainability in mind for generations, and it is ahead of the Coachella Valley Water Management Plan’s self-imposed 2020 deadline for stasis. Of course, none of this prevented the Coachella Valley from being lumped in with the urban water districts that really are dependent upon seasonal rains and the State Water Project when it came time to impose 36 percent cutbacks. And it’s not going to matter with respect to the features of the recent “emergency” that are in the process of being made permanent, nor is it going to matter when the next “emergency” is tolled by the State Water Resources Control Board. Whether the subject is the details of the Groundwater Management Act, mandatory conservation protocols, or permissible landscape palettes, the order of California’s political day is centralization of authority in Sacramento. It’s not always direct authority. It’s more often the threat of substituting state control for local control when the state determines that the locality has failed to meet the state’s minimum standards as prescribed by separate regulation or legislation. Thus, it is very much in the interest of everyone who lives, works, farms or plays golf in the valley to prevent that substitution. Complaining about the unfairness of it won’t prevent it. The desert’s fate is inextricably intertwined with the rest of the state, and the rest of the state is in a world of hurt. As much as we would like to think that it’s the bone dry years that are the exception, the facts say otherwise. It’s the wet winter that’s the exception. So is what we used to call the normal winter. One credible scientific study after another is revealing that the past 130 years have been among the wettest and most stable in California history. Those same studies are revealing that droughts of 10 and 20 years have been common in the last millennium, and a couple of them have lasted multiple generations. In short, California has constructed an infrastructure to support 40 million souls and the sixth-largest economy in the world based upon rain and snow expectations that we are now discovering were anything but normative. The fact that this has nothing to do with the Coachella Valley is irrelevant. Coming to terms with that contradiction, unfair though it may be, is going to be key to keeping a measure of local control over water management here in the Coachella Valley. Craig Kessler is government affairs director for the Southern California Golf Association and the chair of the CVWD Golf and Water Task Force. Email him at CKessler@scga.org. Please find the February membership newsletter here! Find the article full article here. Please find the January membership newsletter here!